Brand: Glamour Plus by ROZ LA KELIN Style: 5435T Panelled gown of tulle and lace. Lace builds ornately lightly from the hemline up through the empire and forms sheer shoulders. A very slimming dress with good bust support. 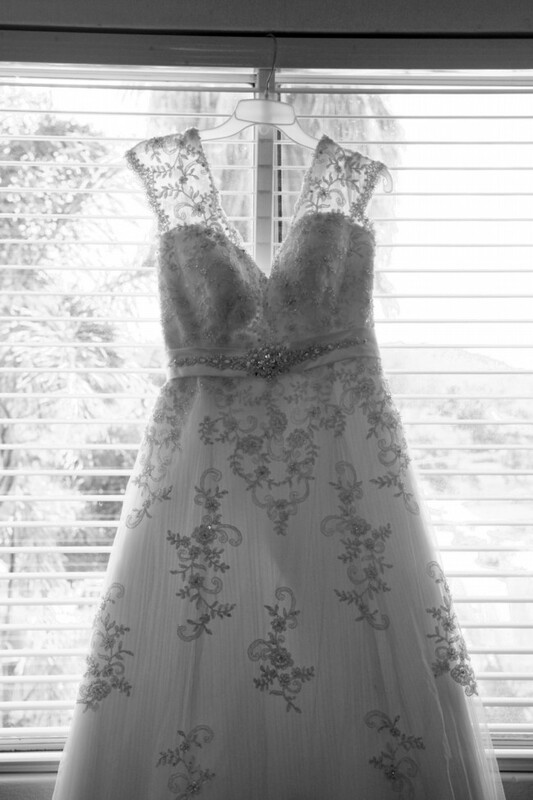 The dress is in very good condition; professionally dry cleaned and kept in a smoke free home. Certificate of Authenticity available: Bridal Gown Number: 21118 (Handmade) Original price: $2790.00 Fabrics: Tulle Lace Beading Colour: Ivory IS Back Opening: Lace-Up Sizing: AUS 22 However, I had this dress altered to fit a size 18/20. The Lace-up back was very close together therefore, I think it would still fit a size 22. I also had the length altered to fit. I am 5ft 6in and wore 4 1/2in heals. The dress just skimmed the floor.